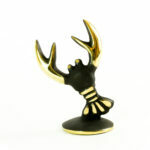 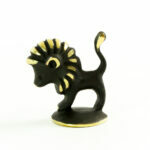 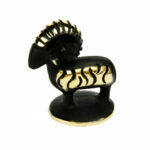 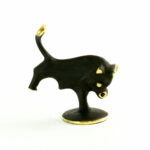 View Cart “Walter Bosse Brass Leo Lion Figurine — “Löwe”” has been added to your cart. 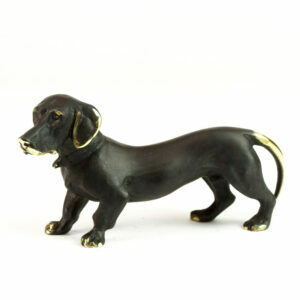 This dachshund is a small creature with big personality! Walter Bosse, an expert craftsman from the golden age of Vienna bronzes, designed his “black/gold” series of bronze figurines to make “as many people as possible happy.” This painstaking reproduction has all of the quality of the mid-20th-century originals, with perfect patina and polished, golden surfaces, like they were originally intended.